I raced this weekend and dealt with some of the most intense pain ever. I didn't remember that much pain when I finished Ironman 70.3 Oceanside. 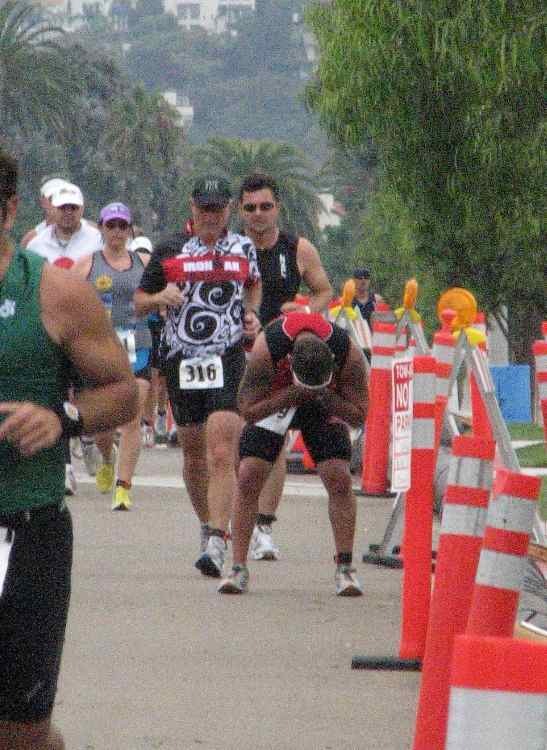 I finished the San Diego Triathlon Classic (1k swim, 40k, bike 10k run) again for the third time this year. This race was not easy to finish. The first mile off the bike was very difficult. My right foot became completely numb from the pain. I figured that I was having some nerve issues because of the structure of my feet. The top of my foot that meets my high ankle did not want to flex for me. Each stride was a flat footed slam against the concrete. My foot was absorbing the ground in a new unfamiliar painful way. I was forced to walk a short distance before my left foot began to experience a similar fate. Each step and stride sent pain radiating through my thighs and out my hips. This was the first time that I felt pain in my hips from running. The long journey of my 10k became evident. I needed to run walk and face the fact that my run pace would be slowed to crawl. As I rounded mile 3 I saw my kids and my wife offering encouragement. At that point my son gave me a “way to go dad” and I felt the need to push forward and finish respectfully. As I was approaching mile five I realized that I might have to walk the majority of the next mile. I ran a few steps walked a few steps and continued to do that until I reached the finish line. When I rounded the corner towards the finish my son met me half way and we both with our familiar running style only a clubfooter would recognize crossed together. One of the volunteers reached over to place the medal around my neck and I took it from her and placed around Eli’s neck as I assured him that one day his feet will be stronger and he to can finish whatever he puts his mind to. I have become more appreciative towards those who are disabled and face challenges. 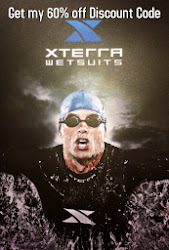 Triathlon brings out the spirit of determination in every athlete. It truly is an individual sport for the average age grouper and a challenge for those who are expected to never win or finish.